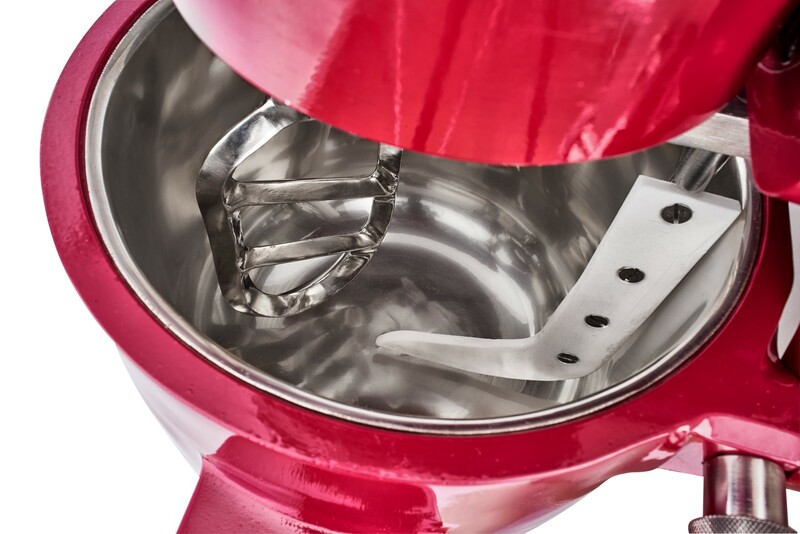 The POM-5 Planetary Mixer is a powerful versatile machine, ideal for mixing of creams, ointments, and liquids. 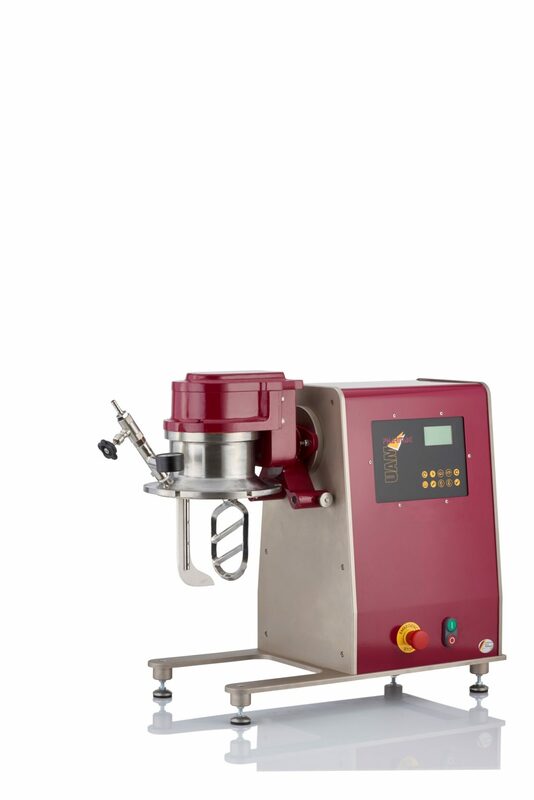 Thank the 360° planetary mixing mechanism; mixing of materials with wide range of properties can be qualitatively achieved in a short time. 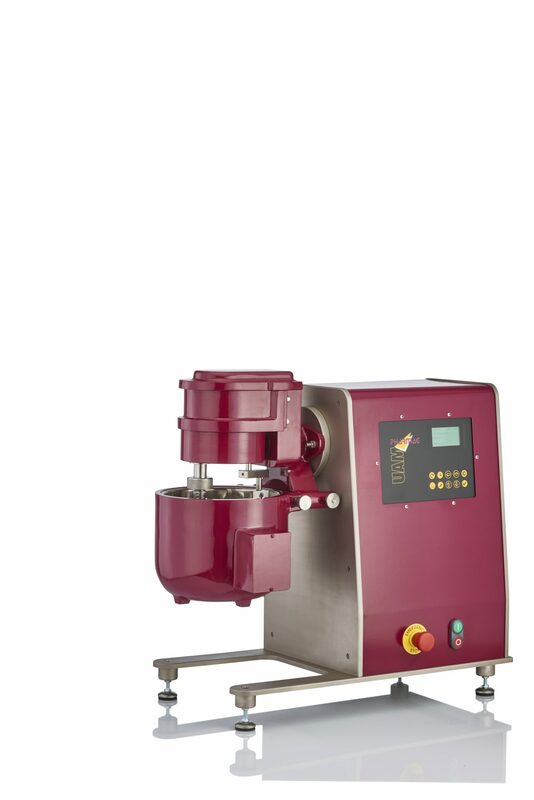 The robustly constructed planetary gear unit can be equipped with various mixing and whipping blades. These blades are also made of L316 stainless steel and are easily interchangeable. 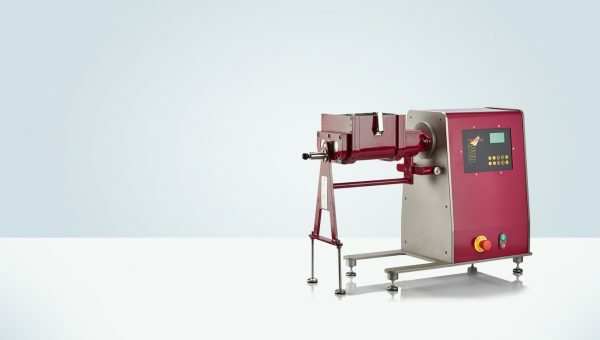 Any material that would stick on the vessel walls will be continuously removed during the process by means of the teflon scraper, which is shaped to exactly fit the clearance with the walls of the vessel. 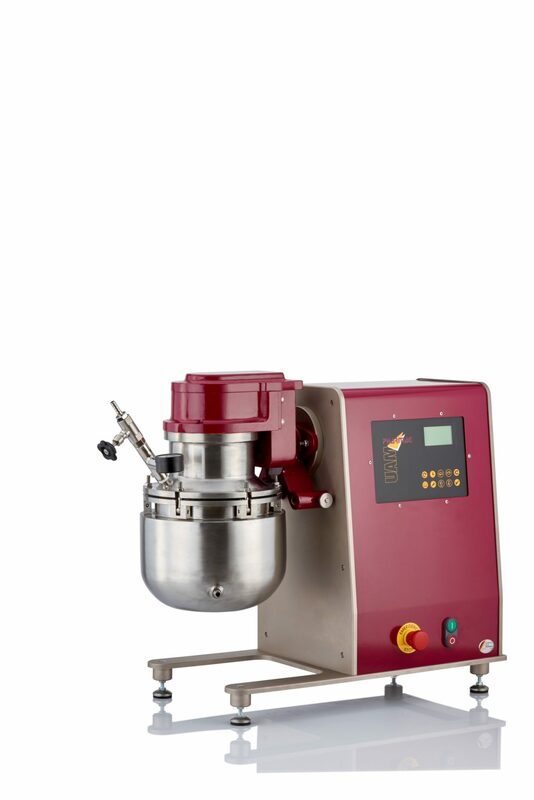 The POM-5 Planetary Mixer can be directly attached to the UAM Universal Motor Drive, which provides a smooth, stepless speed tuning. Heating or cooling are technically available, and can be ordered as an extra option POM-5VE and POM-5VH. » POM-5VE: For only heating purposes with controlled electrical heating system. 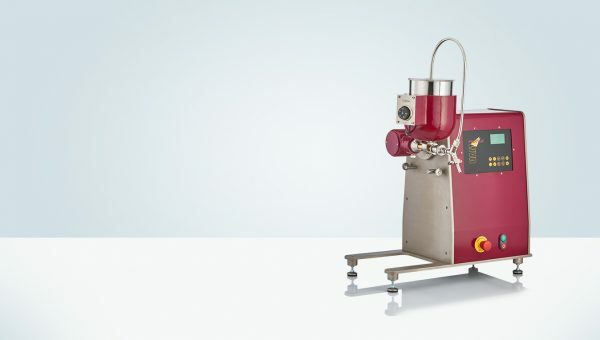 Vacuum pump can be connected on the top of the mixing vessel. 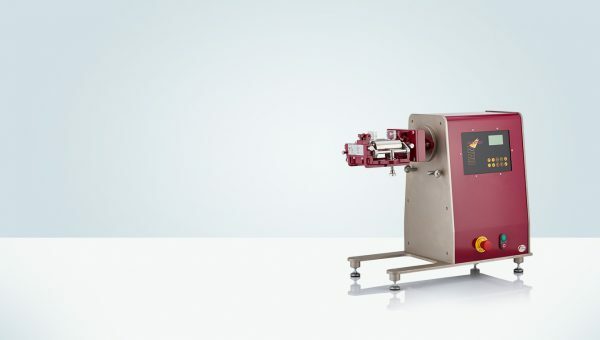 » POM-5VH: A sealed and insulated double jacket structure with Input-Output Nozzles for heating or cooling by means of liquid or vapor circulation. 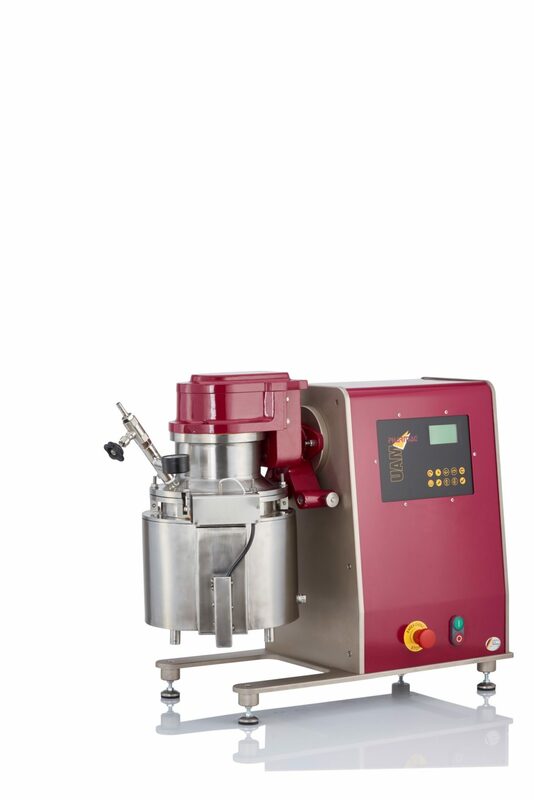 Vacuum pump can be connected on the top of the mixing vessel.